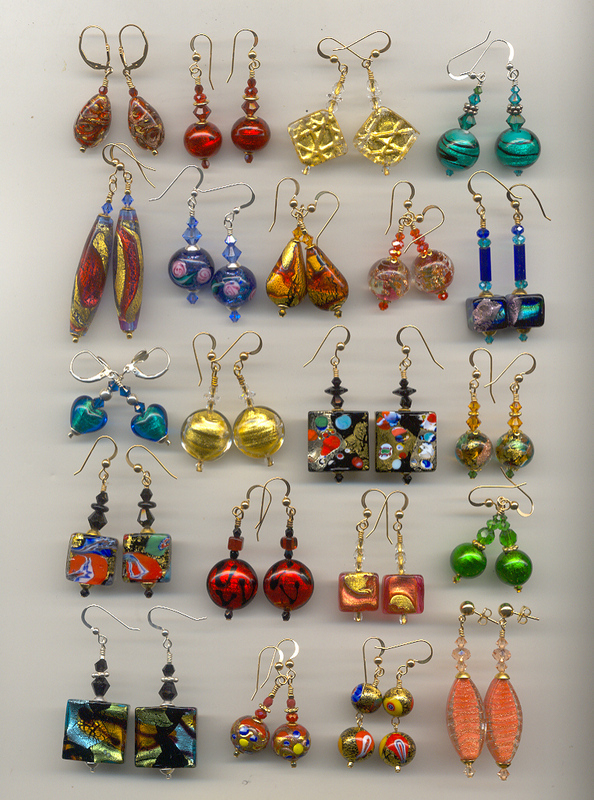 Earrings: Each Murano glass / Venetian bead is handmade in Italy. Our earrings are expertly, custom made by our Earring Designer, when you place your order. Each pair is made to your specifications: style, color, wires, posts or clips, etc. Because of this, there are no returns on earrings. Most earrings are available in your choice of gold filled or sterling silver wires or posts. Gold or silver colored clips are also available on many of the earrings.